Intel is expected to launch its 9th Gen CPUs later today in a livestream beamed across the globe. The company will be unveiling its i9 9900K, i7 9700K, and i5 9600K during the stream, marking the first time Intel will bring eight cores to the mainstream CPU market and finally matching AMD’s Ryzen processors core for core. 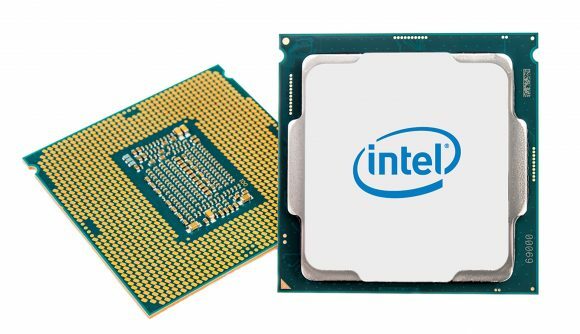 The i9 9700K will replace the i7 8700K as the top i7 on the LGA 1151 platform. This chip is a little different to those before it, however, as Intel has decided to ditch Hyper-Threading on its top i7 chip for the first time in living memory. This also means it will no longer sit at the top of the product stack. Instead the i9 9900K sits on the throne. This eight-core CPU has Hyper-Threading activated for a total of 16-threads of computational power. It’s expected to clock to 5GHz on a single-core out of the box, and early benchmarks have already shown it dominating the leaderboards. While pricing has not yet been confirmed, this processor could cost over $500, which would make it one of the most expensive mainstream chips to ever launch. At least some of our questions surrounding the i9 9900K and i7 9700K should be answered today. Intel’s announced a livestream will be taking place at 10AM EDT on Monday, October 8. That’s 3PM BST, 2PM UTC, or 4PM CEST. The livestream is live now on Intel’s newsroom. The move to i9, eight-core processors has almost certainly a result of increasing pressure from AMD. Intel’s latest generation will be facing off with AMD’s second-gen Ryzen chips at launch, led by the Ryzen 7 2700X. However, the 9th Gen will also need to fend off AMD’s Zen 2 processors, built on TSMC’s 7nm process node, sometime in the first half of next year.